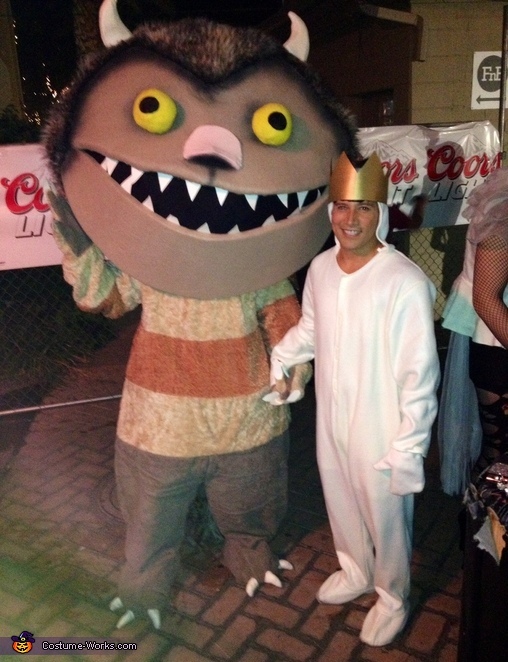 My friend and I are wearing the costumes I created for "Where the wild things are." The head piece was the hardest thing to build. I started by getting a baseball helmet and used insulation foam, wire, foam, fur, and felt among other materials to finish the details. It was a great achievement to bring my favorite story to life.